In a bid to relax algorithm trading norms at commodity derivatives exchanges, markets regulator Sebi today raised the limit to process up to 100 orders per second by a user for such trade from the existing limit of 20 orders per second. The decision has been taken after receiving representations from exchanges along with views of Sebi’s sub committee — Commodity Derivatives Advisory Committee. “It has been decided to permit exchanges to relax the limit on the number of orders per second from a particular … User-ID up to hundred orders per second,” Securities and Exchange Board of India (Sebi) said in a circular. The markets regulator asked exchanges to ensure that the limit it provides is subject to its ability to handle the load. Besides, the regulator has decided to do away with the requirement of empanelment of system auditors by the exchanges for system audit of algorithmic trading. Algorithmic trading or ‘algo’ in market parlance refers to orders generated at a super-fast speed by use of advanced mathematical models that involve automated execution of trade, and it is mostly used by large institutional investors. High-frequency trading can be a tough topic to tackle. Regulators around the globe are scrambling to ensure their markets are fair and orderly while drawing in liquidity and lessening spreads. Greeksoft discusses Indian regulator Sebi’s new proposals targeted at algorithmic and high-frequency trading, and what it could mean for the nation’s burgeoning market going forward. In North America and Europe, high-frequency trading (HFT) has been put under the microscope. Flash crashes—the most recent of which befell the British pound on October 7—price volatility, heaps of cancelled orders, and the belief that the financial markets are rigged, notably outlined in Michael Lewis’ Flash Boys, has led regulators to reexamine the potential (some might say “theoretical”) benefits of the practice: added liquidity, tighter spreads, and decreased costs. But one region of the world that has been quick to embrace HFT in order to bring in foreign expertise and liquidity is Asia. To varying degrees, Japan, Singapore, Australia and Hong Kong have seen their exchanges build out their trading platforms and networks to entice low-latency traders to try out their markets. While it’s too early to judge the long-term success or failure of these efforts, there’s clearly an appetite for this type of trading in this region. Another market that is poised to join this group is India. For those unfamiliar with India’s marketplace, the second-most populous country in the world has two stock exchanges: the Bombay Stock Exchange (BSE) and the National Stock Exchange (NSE). The topic of HFT brings about its own drama. India’s regulator, the Securities Board and Exchange of India (Sebi), hopes to address those concerns. As such, any conversation about the merits of HFT will first have to begin with how best to regulate algorithmic trading and co-location. Earlier in the year, the Indian regulator issued a discussion paper, Strengthening of the Regulatory Framework for Algorithmic Trading & Co-location. The nine-page report lists seven measures designed to address concerns relating to market quality, market integrity and fairness due to the increased usage of algo trading and co-location in the Indian securities market. By the end of August, Sebi had collected feedback from the industry, including from broker-dealers, investors and intermediaries, among others. Sebi chief Upendra Kumar (UK) Sinha recently said the regulator would consult all stakeholders—including the Reserve Bank of India (RBI) and technology providers—before making a final decision on implementing new rules targeted specifically at HFT. There is a concern among HFT proponents that some of the measures proposed will be detrimental to the overall trading landscape in India. According to data provided by Sebi, algorithmic trading and HFT strategies account for about 40 percent of the country’s trades. However, that estimate lumps HFT and algo trading together. While all high-frequency trading strategies are conducted using algorithmic platforms, not all algorithmic trading constitutes HFT. Even in the US, regulators have given up on trying to define an exact latency that constitutes HFT, but there still needs to be some differentiation between HFT and simple algorithmic trading, notes one asset management firm’s risk manager. In the paper, Sebi states that algo trading and HFT drew regulatory attention due to price volatility, market noise, costs imposed on other market users, and it often presented limited opportunities for regulatory intervention. The regulator is examining several measures to “allay the fear and concern” of unfair and inequitable access to the trading systems of the exchanges. Potential measures to curb high-frequency trading include a minimum resting time for orders; frequent batch auctions; random speed bumps or delays in order-processing or matching; randomization of orders received during a given period; maximum order message-to-trade ratio requirements; separate queues for co-located and non–co-located orders; and a review of tick-by-tick data feeds. One big concern, though, is that Sebi has not clearly identified the specific problem it is trying to solve. Without proper clarification, implementing those measures without addressing a specific problem could be detrimental, adding complexity to the overall market structure in India. Rather than target HFT specifically, cracking down on specific cases would deter any intentional misconduct.This then leaves more options on how to ensure a fair and competitive marketplace. Continuous market supervision or guidelines and enforcement of pre-trade checks and market-abuse monitoring have been proven successful in other markets and could also prove useful here. But the concern is that the measures that Sebi has proposed will likely make a complicated situation even more complex and confusing. As a vendor, we think India and Korea are some of the most challenging countries in terms of compliance. Regulators in India have always been allowed to review the code of algorithmic firms, which causes intellectual property issues, given that the written code is confidential. This is an issue also being debated in the US with the Commodity Futures Trading Commission’s (CFTC’s) recent source-code provision of Regulation Automated Trading (AT), which stipulates that trading firms have to turn over their source codes to a repository, as opposed to handing over the code after being served a subpoena. Despite the discussion paper being closed for feedback, Sebi is still consulting with industry bodies and market participants on the proposals as the body looks to get more clarity on the specific issues it intends to solve. And people are happy that they’re taking their time—at least for right now—but the concern of unintended consequences looms. As an example, one of Sebi’s proposals is to implement a minimum-resting time for orders of 500 milliseconds; the idea is to eliminate “fleeting orders,” or orders that are put in and then cancelled within a short amount of time. But Sebi also noted that no other regulator currently mandates the resting-time mechanism. Back in March 2013, the Australian Securities and Investment Commission (ASIC) asked for feedback on implementing a similar measure to address concerns market operators and participants had over the effect of HFT and dark-pool trading. However, ASIC later decided against it, saying that such an implementation would only affect about 1 percent of order amendments and 2.26 percent of order deletions. In total, that represented approximately 1.25 percent of all order flows, including executed orders on the Australian market. So they concluded that the reward of such a bold move would not be worth the added market complexity. “The proposed minimum resting time rule would affect only a small portion of HFT operators. In ASIC Report 331, it is estimated that HFT accounts for 46 percent of orders and 32 percent of trades in the Australian equities market, with around 25 percent to 35 percent of small fleeting orders attributable to high-frequency traders,” according to Capital Markets Consulting, which was commissioned by the Financial Services Council of Australia to conduct research on the impact of technology on capital markets. Risk manager says implementing a minimum resting time for orders would definitely hurt HFT players, but the source also questions the need for that kind of speed in the first place. “It is such a small time period that the normal institutional investor wouldn’t have a problem with this. But 500 milliseconds is like an eternity to HFT traders. What are you doing that requires that kind of speed and why would you be cancelling orders in half a minute?” he says. Another proposed measure is the random speed bumps or delays in order processing and/or matching, similar to what IEX in the US has implemented. IEX introduced a two-way 350 microsecond delay on communications from its members and its trading system. Sebi said in its discussion paper that this type of mechanism could discourage latency-sensitive strategies, which would drastically affect HFT but would not deter non-algo order flow. The intent behind it is to “nullify the latency advantage of the co-located players to a large extent,” it said. As for randomization of order matching for co-located orders and non–co-located orders, implementing such measures may result in shifting the problem rather than resolving it. While Sebi mulls over whether it should implement some, if any, of the proposed measures, there is no doubt that any of these measures would affect liquidity in India’s market—the question is, whether the impact would be positive or negative. We understand that at least some of the proposals will be implemented, since Sebi put out the discussion paper. The industry understands that Sebi is under pressure to implement measures to solve what it perceives to be a problem. These proposals, if implemented, may impact volumes and, hence, liquidity. Whether in Asia, North America or Europe, the HFT battle often comes down to the question of liquidity. Access to liquidity in Asia has always been complicated because the region is both fragmented—each country has its own market structures/rules and the differentiation isn’t always that clear—and homogenous, as most markets have only one or two exchanges. Other than Japan and China, markets in Asia are really small. US markets trade around $250 billion a day while markets in Asia trade only about a third of that. Trying to trade a $50 million block in India is very hard; you would exhaust liquidity and end up pushing up prices. So the more liquidity you have, the better. This is a big reason why countries like Japan, Singapore and Australia have tried to entice HFT firms, which boosts volumes. The main benefit of HFT would be the creation of more liquidity, if it is hard to buy and sell, then institutional investors will see the risk of being stuck with positions longer than they want. This is definitely not the only factor in question for encouraging institutional investment, but anything that helps tighten spreads and improve liquidity is important. The Securities and Exchange Board of India (Sebi) is mulling implementing measures to address concerns around HFT. Some industry participants have criticized Sebi for not specifying the exact problem it is trying to solve, and they believe that implementing any of the proposed measures would adversely affect liquidity in India. For all the talk of HFT, the practice has seemed to have plateaued in Asia, so is it best to let the market work itself out before adding in any new rules that could bring about unintended consequences and complexity. Note: As we are writing this blog, it was reported by Mint, a business newspaper, that Sebi will start a second round of consultation—following the August consultation paper—and it will drop some of its earlier proposals, though details of what will be removed were not released as of deadline. Hedgers and punters in commodity futures could soon get to trade options in gold, silver, soyabean and guar seed once Sebi approves the launch of the new products in around three-four months, three persons aware of the development told ET. Also, portfolio management services (PMS) could be approved by the regulator in due course, they added. The matter was discussed at a commodity derivatives advisory committee (CDAC) meeting on new products and participants held in Sebi’s office in Mumbai on Monday. Sebi officials, commodity exchange chiefs and heads of commodity brokerages were among those present at the meeting. The 22-member CDAC, chaired by Niti Ayog member Ramesh Chand, will pass on its recommendations to Sebi next month on the matter after which the latter will take a view. “Discussions (on new products) are on by the sub-group constituted by the advisory committee,” a Sebi official said. “Sebi is likely to receive the recommendations of CDAC sometime in July after which further examination will be done at the regulatory level and a view will be taken.” He did not comment on the types of options or the commodities that would be considered, as discussions were still under way. Also under discussion were the kinds of options to be launched. It’s likely that options culminating in delivery, or European style options, will be approved. 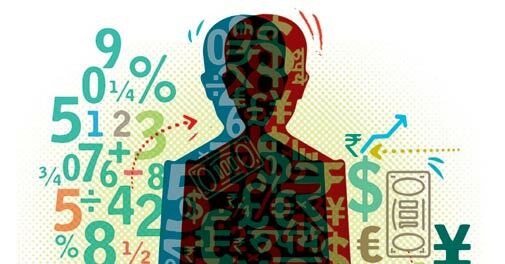 European style options can be exercised only upon maturity, or settled in cash before expiry. The other type of options, American style, can be exercised on or anytime before maturity. Commodity options will be based on futures contracts as unlike in the equity market, the market lacks a cash segment. Options in the equity market are mostly cash settled. “There are two possibilities — options that devolve into futures or options that are settled based on the final settlement price of the futures contract. My guess is it’s likely to be the latter,” said the other person cited above. For a non-farm product on which an option can be launched, one of the criteria being discussed is that its average daily turnover be around Rs 5,000 crore. For a farm product, the ADT could be Rs 200 crore. All four commodities cited above meet this criterion. Gold and silver are traded on MCX, the country’s largest and only listed commodity bourse. Soyabean and guar seed are traded on the country’s premier farm bourse NCDEX. Source – Economic Times (June 23, 2016). Algo Trading in India – Statistically Speaking !!! Algorithmic trading is all the rage in India right now, and across the market the view is unanimous: the only way is up. The question is how just fast it will grow. By the start of 2012, Algo accounted for some 24 percent of cash equities turnover in India and about 30 percent of equity derivatives. According to figures from the Bombay Stock Exchange, by far the smaller of the two Indian exchanges that dominate equities trading, the share for equity derivatives has already jumped to 45 percent since then. Algorithms and High frequency trading are the hottest topics in the market – algorithmic trading and HFT itself, and now the regulations around it. This is what the majority of players in the market are focused on today. India has the building blocks in place for a ramp-up. Co-location has been available from both the Bombay Stock Exchange and its bigger competitor, the National Stock Exchange, for 18 months. Both exchanges, and market observers, say their trading platforms can handle HFT. Direct market access is available. Smart order routing between the two exchanges has also been operating since August 2010. The Indian regulator, the Securities and Exchange Board of India (SEBI), produced guidelines for algorithmic trading in March which brokers, exchanges and market watchers hail as a sensible response. The new rules, they say, recognise that algorithmic trading is a natural development and are aimed at preventing problems but not blocking growth. “All the dynamics point to an increase in automated and algo trading in the next few years,” Expect the cash equities and derivatives levels to raise around 50-55 percent within the next year or so. Stock Market Investment Word Cloud !!! How to benefit from the rise of algorithmic trading . 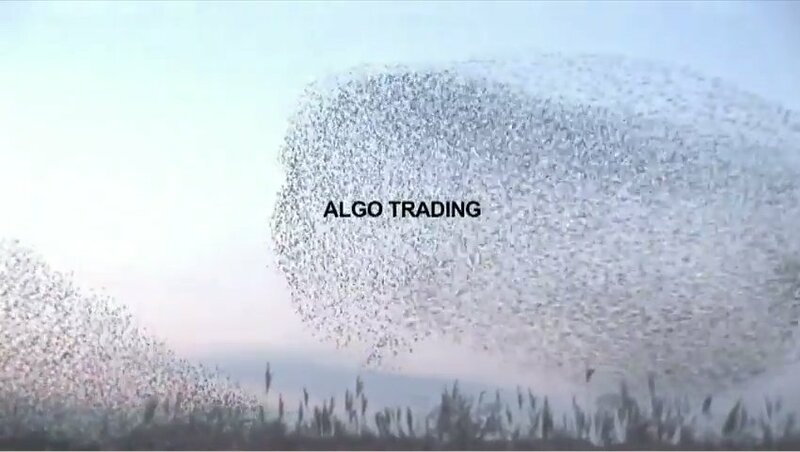 Algo trading is an automated facility where trading is carried out by computer driven algorithms designed by traders. Instead of the traders manually doing so, it is these algorithms that determine which orders – to buy or to sell – get booked. The high speed – transactions can take as little as 18 microseconds – at which such trading takes place, gives it a competitive advantage over conventional manual trading. While a single trader can manually handle at best a portfolio of around Rs 5 crore, an algo trader, working alone, can cope with Rs 50 crore to Rs 55 crore. Algo trading started in India in 2005. But it was only in 2008, after the Securities and Exchange Board of India (SEBI) allowed Direct Market Access, or electronic interaction with the order books of exchanges, that this facility started gaining wide acceptance. Today, around 16 to 17 per cent of trading on the Bombay Stock Exchange (BSE) and National Stock Exchange is algorithmic, with about 80 to 90 companies engaged in it. But many believe that in the next three to four years, the proportion could rise to 60 to 70 per cent. Algo trading calls for two kinds of skills: strategy or domain knowledge, and code development. Domain knowledge means knowing stock trends in different sectors thoroughly, while code development requires a strong command of programming languages. Indeed, a background in coding is in high demand.